In This Issue: Budget Act health goodies, Obamacare enrollment figures, Medicare out-of-pocket costs, home care coverage prospects, Medicaid waiver debate (it roils on), hospital at home success, palliative care developments, HCBS, bundled heart failure payment, Medicaid assisted living failings, antipsychotic drug overuse in nursing homes, complex medical needs care, wasteful healthcare spending, family medical leave anniversary, the plight of paid caregivers, physicians and the right to die, and what is death and who decides. The 11th hour budget deal struck by Congress and the White House contained a number of health system provisions that have elicited expressions of approval (and surprise) among policy and advocacy sectors. Repeal of Medicare outpatient therapy caps (see photo discussion below). A 10-year extension of the Children’s Health Insurance Program (CHIP), which will assure stability and efficiency for states providing medical services to eligible families. Two-year funding for community health centers to continue to provide community-based, comprehensive health services to medically underserved populations. Expansion of the successful Independence At Home demonstration program to help seniors access quality, team-based care side in the home. One major omission in the package was any move to address the problems of the Obamacare exchanges brought on by the year-long Republican drive to repeal the ACA. Hope remains, however, that some fix, most likely involving support for state reinsurance systems, will emerge in the next chapter of the budget battle set to resume in March. At the same time, latest CMS projections, reported Modern Healthcare’s Virgil Dickson, “indicate that nearly eight million people will voluntarily lose insurance in the next eight years as a result of the repeal of the Affordable Care Act’s financial penalty for not having health insurance. In all 37.7 million people will be uninsured by 2026, up from the estimated 30 million in 2018, according to the CMS actuarial analysis.” The findings, Dickson continued, differ from the Congressional Budget Office’s earlier, less rosy forecast of 13 million additional uninsured by 2026. The Center for Medicare Advocacy has been keeping close tabs on Medicare’s home health benefit in the wake of what it sees are threats to its accessibility. “We fear Medicare coverage laws are not being enforced and people are not getting the care that they need in order to stay in their homes,” CMA attorney Kathleen Holt told Kaiser Health News’ Susan Jaffe. Jaffe highlights the difficulties confronting individuals seeking home care coverage, pointing out that home health agencies are too often prone to cut or avoid high cost, long-term aid recipients for fear of jeopardizing quality ratings based upon home care patients’ improvement. Throughout it all, however, votes in Oregon have continued to demonstrate that state’s ongoing support for expanded health care coverage. First, in January a special election provided strong endorsement for raising healthcare company taxes to help cover the cost of Oregon’s Medicaid program. And, while controversial and supported only by Democrats, Oregon’s House voted in early February to ask Oregonians in November to embed a universal right to healthcare in the state constitution. 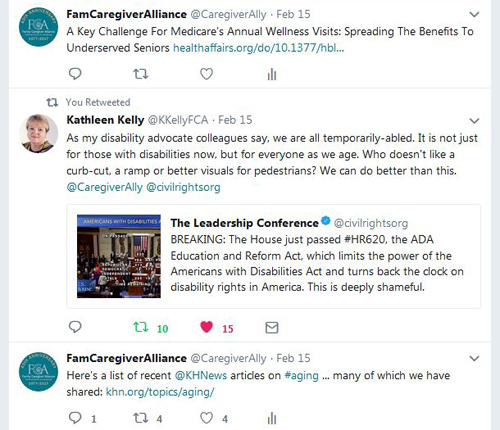 The National Alliance for Caregiving will host a webinar March 6 at 2 p.m. (ET) to discuss its recently released report From Insight to Advocacy: Addressing Family Caregiving as a National Public Health Issue. The report urges establishment of policies that reflect the ever growing impact of caregiving burdens on the overall health of the entire population. Registration information is available here . Summer 2018 is the expected release date for the fourth edition of the National Consensus Project (NCP) Clinical Practice Guidelines for Quality Palliative Care. The National Coalition for Hospice and Palliative Care has created a website containing extensive resource material regarding the ongoing drafting project, including slides, FAQs, and preparatory conference presentations. Finally, six palliative care experts turned to the pages of Health Affairs to analyze the significant impact of the Center to Advance Palliative Care (CAPC) on the emergence of widespread hospital palliative care services. In 2000, the researchers observed, “only 24.5% of U.S. hospitals with 50 beds reported having palliative care teams. But within 15 years palliative care services were in place at 75% of the hospitals of that size, and more than 90% of hospitals with more than 300 beds, and at 100% of the National Cancer Institute’s comprehensive cancer centers. Such rapid adoption of these services, the researchers conclude, can be tied directly to the dissemination efforts of CAPC’s Palliative Care Leadership Centers. ﻿Kaiser Family Foundation and Watts Health Policy Consulting have released a comprehensive 50-state review of Medicaid-covered home and community-based services covering enrollment and spending trends between 2004 and 2014, along with state HCBS policies as of 2016. The data, the authors summarize, indicate that 1) nearly 3.2 million people received HCBS through one of the three main Medicaid programs in 2014, a 5% increase from the prior year; 2) the overall increase from across the three main CPS programs from 2013 to 2014 was notable as many states also experienced enrollment increases from implementing the ACA’s Medicaid expansion in 2014; 3) total Medicaid spending on HCBS across the three programs was $58.5 billion in 2014, an increase of 3% from the prior year; and 4) HCBS spending per enrollee averaged $18,458 nationally in 2014, with substantial state-level variation. ﻿Researchers from several major academic aging centers have documented what they term the Precarity of Older Adults Living Alone with Cognitive Impairment. Focusing on 12 adults, 65 and older, six with Alzheimer’s disease and six with mild cognitive impairment, the study authors describe three distinct “themes” that contribute to the subjects’ precarity: the self-awareness of impairment, the attempts to self-manage the challenges brought on by impairment, and the lack of tailored services for those impaired and living alone. ﻿Building upon a multiyear series of reports the Bipartisan Policy Center has issued a final Policy Roadmap for Individuals with Complex Medical Needs. The 37-page report contains a lengthy list of recommendations aimed at improving the delivery of clinical services and long-term services and supports for the vast number of Americans with one or more chronic conditions whose care costs 86% of the $3.3 trillion in U.S. health expenditures. Among the recommendations are a number that address support for family caregivers: 1) keep workers who also need to provide care in the labor force; 2) keep care recipients in their homes; 3) increase the quality of care for people with disabilities and increase self-direction of care by beneficiaries and their families; and 4) protect caregivers financially during the periods of caregiving or at least limit their financial losses, especially if they are economically vulnerable. ﻿The latest attempt to quantify the problem of wasteful and unnecessary healthcare expenditures comes from the state of Washington where the Washington Health Alliance—using Milliman’s Medinsight analytical tools and applying overuse examples from the Choosing Wisely campaign and the U.S. Preventive Services Task Force—has concluded that out of a total of approximately 1.3 million individuals receiving services between 2015 and 2016, 47.9% received low value services that amounted to 36% or $282 million of the total estimated healthcare expenditures in Washington of $785 million. ﻿The National Center on Law & Elder Rights highlights important new materials regarding state guardianship laws, one from the American Bar Association surveying 2017 state legislative actions, and the second a guide to the recently revised and approved Uniform Guardianship, Conservatorship, and Other Protective Arrangements Act. When You Need It, Who Will Be Your Caregiver? Medical Aid in Dying or Life Support: Who Decides? 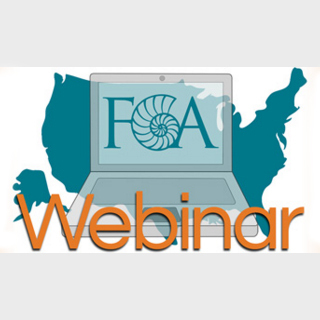 ﻿FCA invites your participation in a free webinar focusing on Five Tips for Improving a Difficult Caregiving Day. The speaker, Lindsey Vajpeyi, has extensive experience counseling persons living with dementia and their caregivers, with a focus on improving quality of life for all affected by dementia. 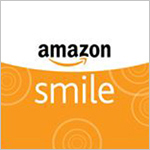 When: Wednesday, February 28, 11 a.m. to 12 p.m. (PT). Are You Willing to Speak to the Media? 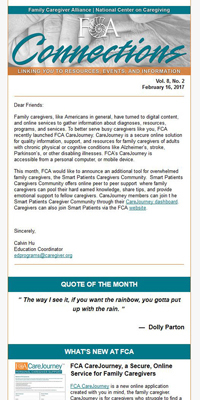 ﻿FCA regularly receives requests from the media (print, online, video and film) to speak with, or interview, family caregivers. Requests may include how caregivers are able to afford and manage their caregiving responsibilities to the challenges faced caring for a family member or friend with dementia or chronic health condition. Do you know a family caregiver, or are you caregiving? Would you like to tell your story? Fill out our online form and let us know if we can pass your name along when we get a matching request. Thank you.